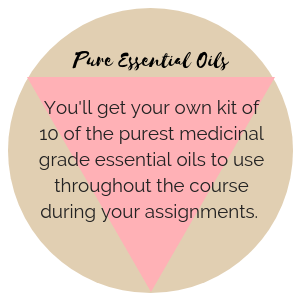 An additional gift from me to you…10 pure medicinal grade essential oils to use for support throughout the program. Today, with your purchase of the Self Love Mastery online course, you will also receive the gift of 10 pure, medicinal grade essential oils. We will use these powerful little healers throughout the course with our homework.